This is one of the best machines Miller have ever produced. The 415v, 3 phase unit can weld from thick to the lightest gauge material including ferrous metal, stainless steel and aluminium. Functions include - HF start or lift arc, crater fill/slope down, ACbalance for post gas control, pre gas control, ARC control and start control. 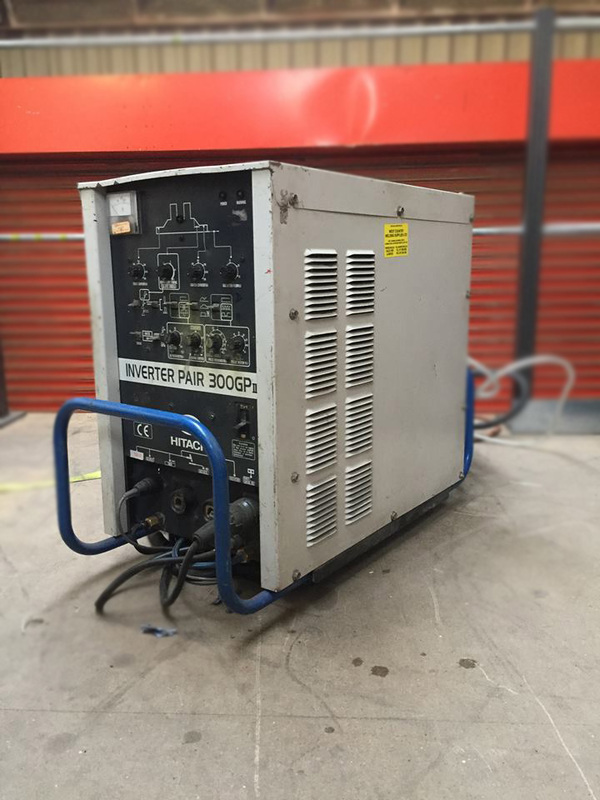 The unit has a welding range of 5 to 400 amps. The Syncrowave has an excellent duty cycle and will weld 400 amps at 30%, 300 at 60% and 325 all day long. The Syncrowave is known throughout the industry for being one of the most reliable and robust machines money can buy. This will come supplied complete with a WP26 torch and an earth lead. Upon purchase this would come fully serviced and checked by our fully qualified in house engineers and would need a pallet delivery - or alternativly you can collect from our Bristol warehouse. Feel free to swing by and have a go if you are interested. The Hitachi 300gps is a fantastic reliable machine that is highly sought after and has built up a reputation within the aerospace industry. This will operate between 5 and 300 amps and is a 415 volt, 3 phase machine which has AC/DC pulse which will weld at 300 amps at 40%. The Hitachi can either be water-cooled or air cooled and has stick welding function. This machine will provide you with fine control to get the best possible welds on aluminium. The Hitachi has a manual display which allows you to easily switch between pulse and wave control settings. The Hitachi welding machines set the benchmark in the U.K. over the years for aerospace quality demands. This machine comes from the legendary Hitachi welding stable where top quality machines were produced for the aerospace industry and where fine control tig was required. The Hitachi will come supplied with a torch and set up ready to weld, and will come serviced and checked by our fully qualified in house engineers. Murex Welding are today part of one of the world’s leading manufacturers of welding products and have a highly successful history extending over 70 years and the Murex Transtig AC/DC 22 is an example of that. 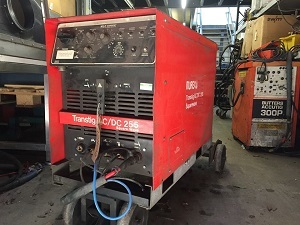 This machine is in good condition and is a powerful 3 phase, 250 amp TIG set which also has MMA stick welding function in AC & DC. This is guaranteed to be a workhorse. This water-cooled TIG welder will be sold as seen but will come equipped with a foot pedal, TIG torch and earth clamp. The Transtig is also mounted on a Trolley, which provides a convenient and safe way of transporting the machine. All of the dials on the front are set out clear and easy to read and allows you to set the machine to the right amperages without trouble. 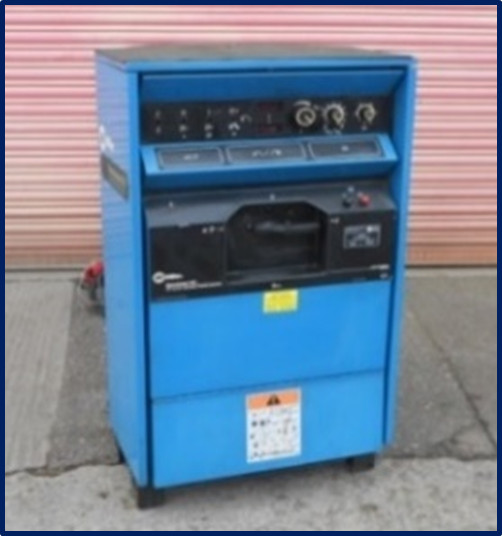 Upon purchase this machine will come serviced and tested by our fully qualified in house engineers and will also need a pallet delivery, or alternatively you can collect from our Bristol warehouse. If you are interested in this then please do not hesitate to give us a call or make us an offer! Fast Track Training! 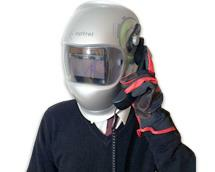 Your staff trained & coded by a REAL welder!